Arundel Riding Centre again enjoyed a successful day at the BHS National Equation Competition. The National competition took place at Moreton Morrel, Warwickshire College in Warwickshire on 3rd April 2013. This competition is open to riders from BHS riding school across the UK, riding horses or ponies from a riding school. 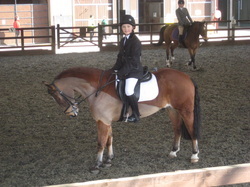 Entrants come from riding schools of all sizes across the UK. 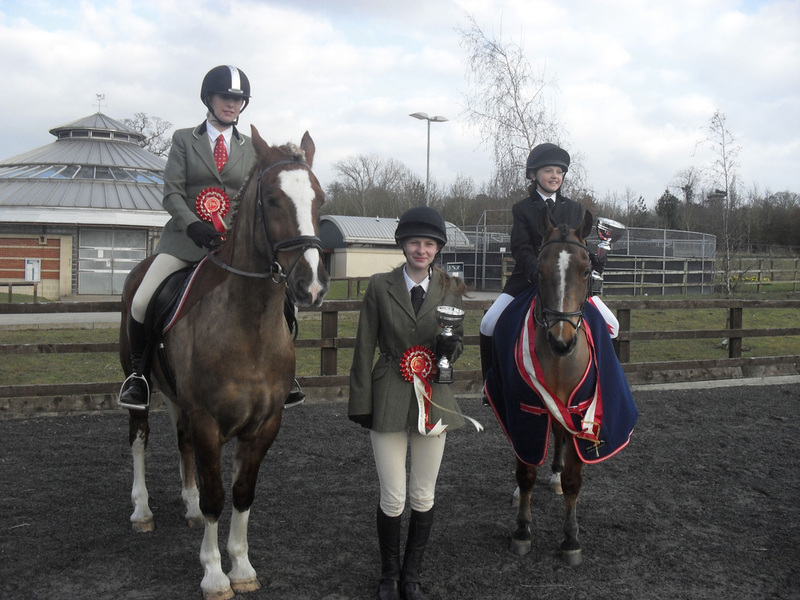 Arundel Riding Centre were well represented by Megan and Flyer, Emily and Bobby, and Lauren and Bobby - following their success in the qualifiers held at Arundel in February. The 3rd of April was a long and memorabe (and bitterley cold) day for riders and ponies. It started at 5am with the journey to Warwick. There was a lovely atmosphere with the stewards being very friendly and helpful to all. The competition attracted riders from BHS riding schools all over the country- with a bigger entry that in 2012. The event is supported by riding schools of all sizes - from small to very large. The day finally ended back at Arundel at 10 pm at night. Lauren Rippon (12) riding Bobby, was placed 1st in the 13 years and under group. A great achievement at a National competition. Lauren is a regular rider at Arundel and is taught by several of the instructors. Lauren Glasspool received the Instructors Plate as the 'main instructor' of the winner in the class. Arundel riders achieved 2nd & 3rd in the 17 years & under group. Megan Fletcher (17) riding Flyer and Emily Chalfont (15) riding Bobby were placed 2nd & 3rd in the 17 years and under competition.